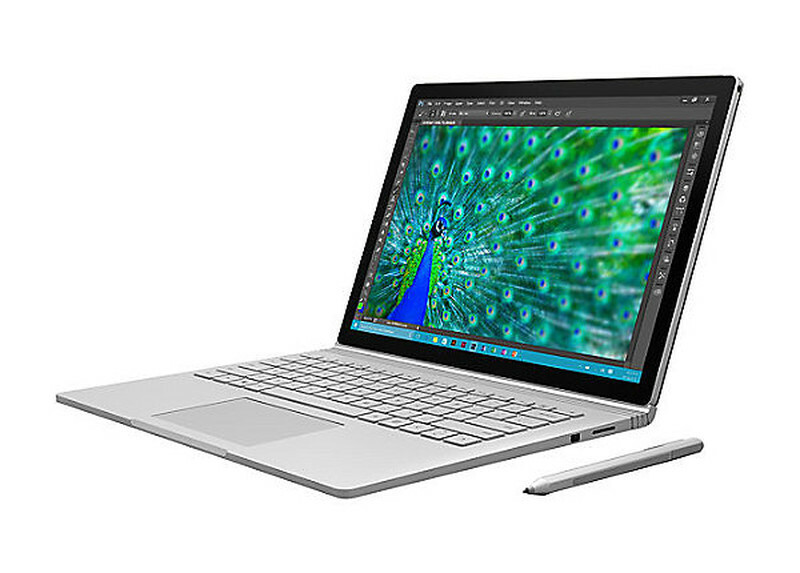 The Microsoft Surface Book is a high-performance laptop designed to efficiently completely various computing tasks. Boasting a 13.5-inch PixelSense LED 10-point multi-touch display with a resolution of 3000 x 2000 pixels, you can create presentations, update excel sheets and create documents with ease. 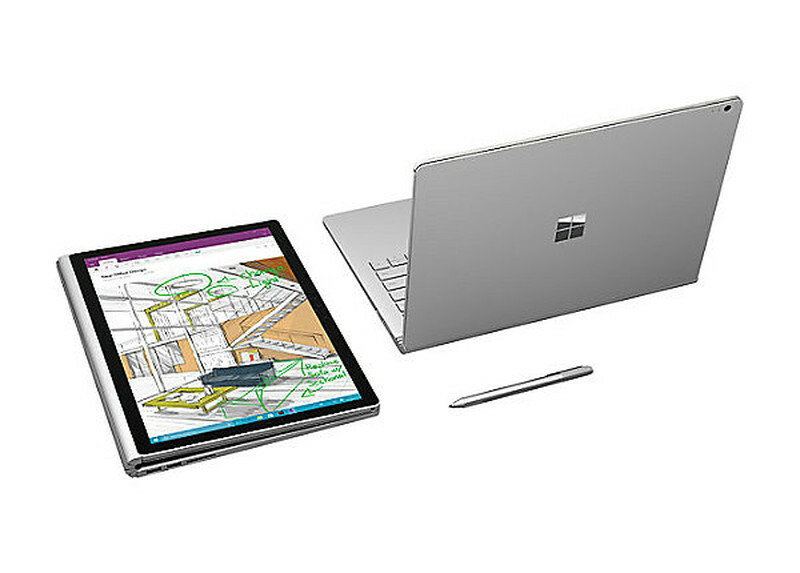 The detachable display screen works in perfect harmony with OneNote and Surface Pen. 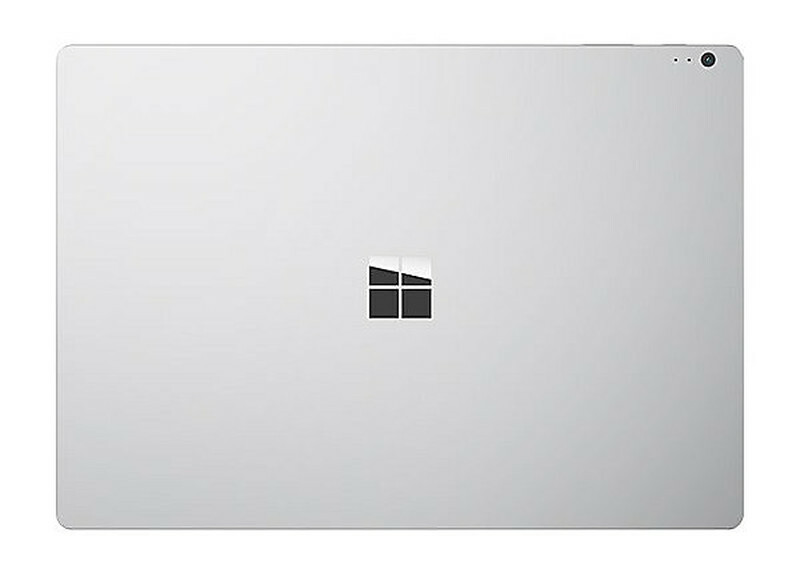 This silver surface book runs on an advanced Windows 10 Pro 64-bit operating system that supports a number of advanced applications including Adobe Creative Cloud, Citrix, AutoCAD and Visual Studio and offers a user-friendly and intuitive interface. 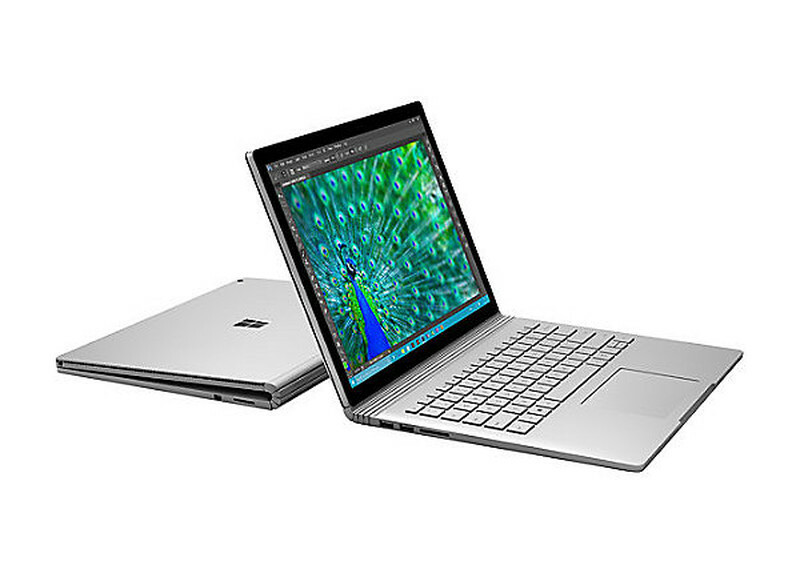 Integrated with a powerful 6th Generation Intel Core i5 processor, you can seamlessly run multiple applications on this Windows 10 Pro laptop. The integrated 8 GB RAM offers a smooth performance. The 5 MP front camera is excellent for video conferencing, while the rear 8 MP camera lets you capture pictures with utmost clarity. Conveniently store important data, files, etc., on its 128 GB solid state drive. 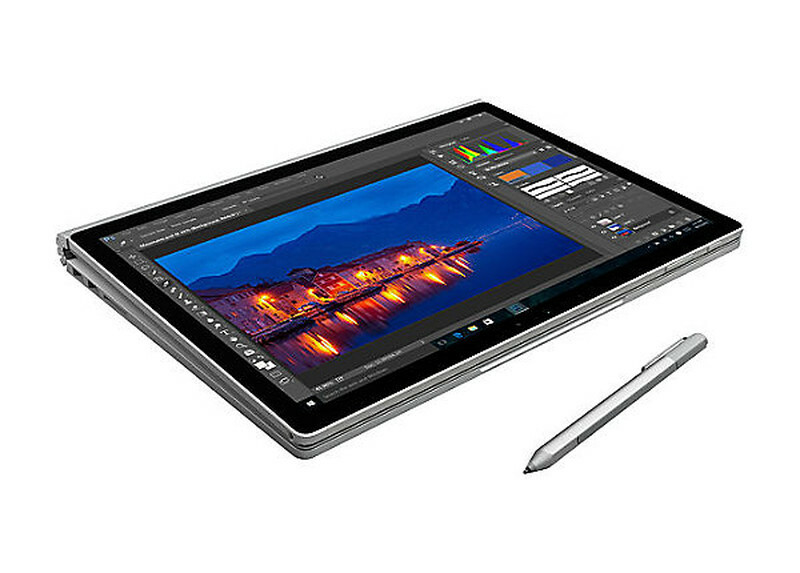 This core i5 laptop is powered by an efficient battery, which gives a run time of up to 12 hours. 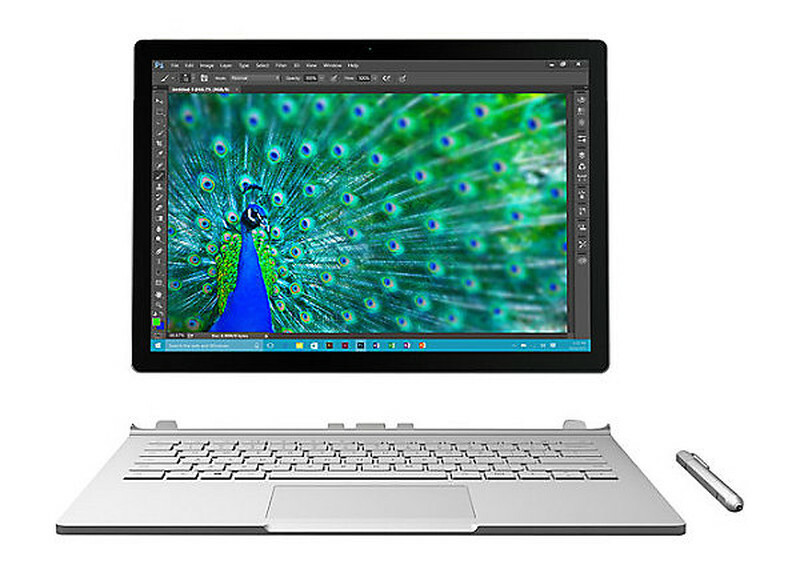 Embedded with a horde of connectivity options including two USB 3.0 ports, a mini DisplayPort, headphone/microphone combo jack, etc., you can connect a number of peripherals, devices and accessories to this notebook with detachable keyboard conveniently.